If you use Boulevard for another industry beside Mary Kay®, you can import your customer list from your Outlook contacts, or using the template below, then import it into your program. Export your Contacts from Outlook, or download the template to build a contact list, then import. When finished, from the File menu, select Import, then Contacts. 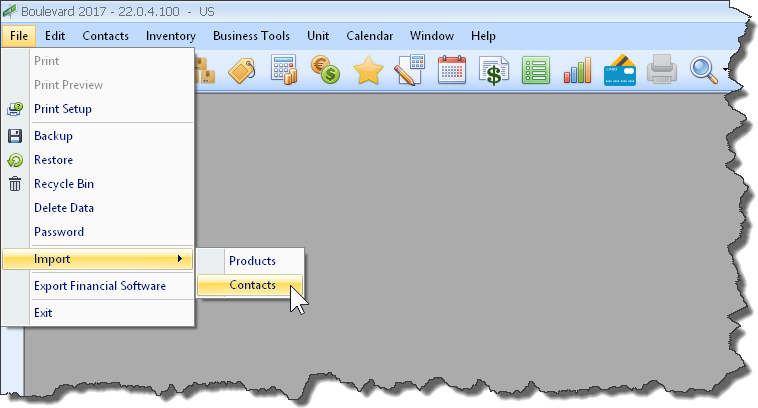 Navigate and select the saved contact template file. To make additional refinements to the contacts added, from the Shortcuts form, click Customer List (or from the Contacts menu, select Customer List).